Every year Elks Lodges throughout the state OF MASSACHUSETTS have fundraisers to raise money for the ever changing needs of our veterans. Across our Commonwealth and country, in hundreds of veteran’s homes and hospitals, tens of thousands of war veterans would live shut away lives, forgotten by their country and countrymen, were it not for such groups as the Benevolent and Protective Order of Elks. The Massachusetts Elks have never forgotten them and never will. Founded in 2007, the MA Elks Vets Bike Run Events have been a huge factor in raising funds for our Veterans. Since inception, we have raised $82,842.41! 100% of all proceeds are directed to the Massachusetts Veterans and Hospitals. The money raised by the MA Elks is spent on various veterans’ endeavors throughout the year. Every year Elks Lodges throughout the state have fundraisers to raise money for the ever changing needs of our Veterans. 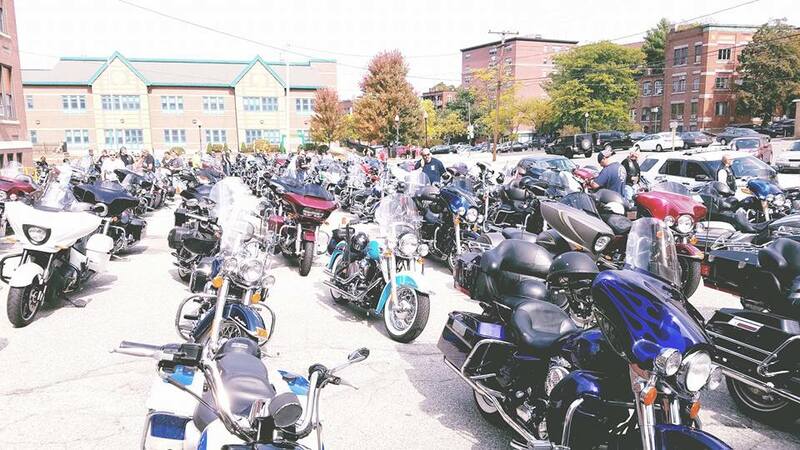 The 2018 MA Elks Vets Bike Runs in Billerica & MIDDLEBORO were a success. $17,203.17 was raised to help veterans of Massachusetts in 2018! Route for Billerica Run to Chelmsford Elks Lodge. Return route can be seen and read by clicking the button below. Registration: 10:30 AM, stands up at noon. After celebration with food, music, riveting raffles & lots of great people! More details below. 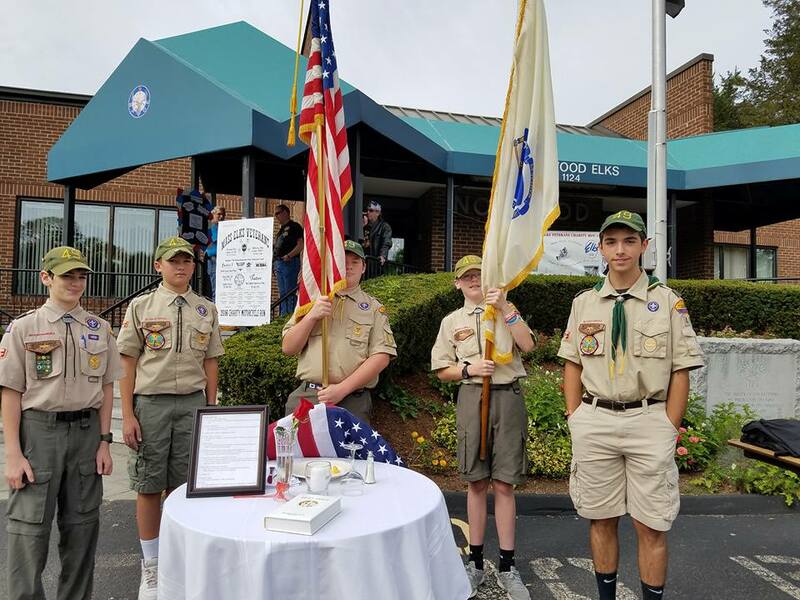 Route: The Billerica Run will begin and end at the Billerica Elks and travel through the North Shore with a stop at the Chelmsford Elks Lodge. A detailed outline and map of the Run can be downloaded below. EVENT WILL BE FULLY ESCORTED BY MIDDLESEX COUNTY SHERIFF'S DEPARTMENT. Route for Middleboro Run to Wareham-New Bedford Elks Lodge. Return route can be seen and read by clicking the button below. Route: The Middleboro Run will begin and end at the Middleboro Elks and travel through the South Shore with a stop at the Wareham-New Bedford Elks Lodge. EVENT WILL BE FULLY ESCORTED BY NORFOLK COUNTY SHERIFF'S DEPARTMENT. Registration Donation - $20 rider / $10 passengers & non-riders. Pre-Register Online Today or you can Register day of. First 100 to register at each run will receive a t-shirt. All Riders get complimentary entry to the after celebration cookout. Live music at both Lodges! Not a rider but want to come by and support our veterans, eat great food, while listening to great music? You can for just$10. Party will start around 2 when Riders return. Active military with proper identification participate for FREE/passenger $10.